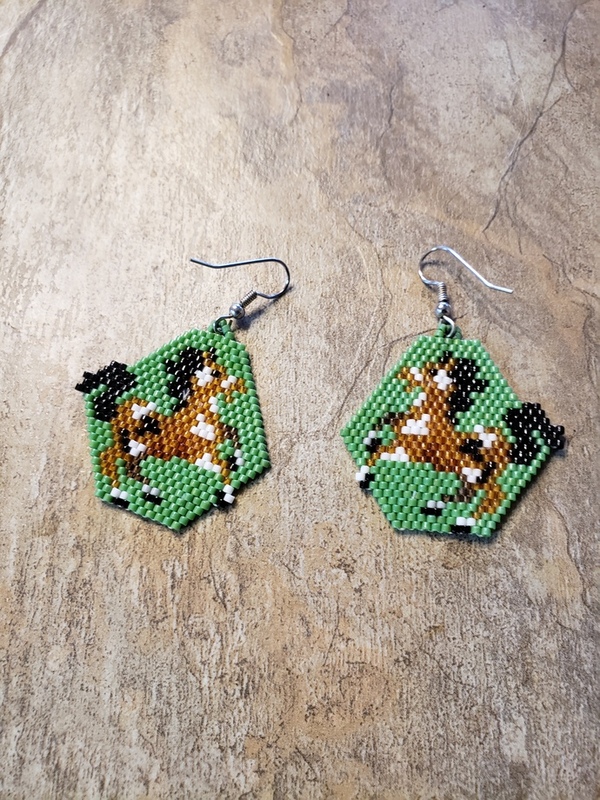 These cute earrings are done in the brick stitch with size11 delcia seed beads. The colors that I have used are black, white, root beer, cocoa brown, green, marigold, and light smoke. They measure 1 1/2" long. The designer is Beadintrigue. Thank you for looking at my bead work.